Jacksons will no longer offer Canvas Stretching service at 96 Beaufort Street, Perth. 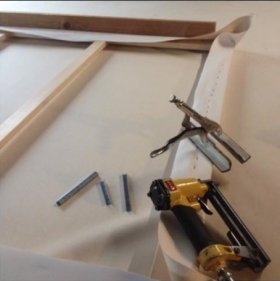 Choose from a range of stretcher bars and canvas types from primed and unprimed Cotton Duck to Linen. Our easels are primarily used for exhibitions and are strictly for display purposes only. 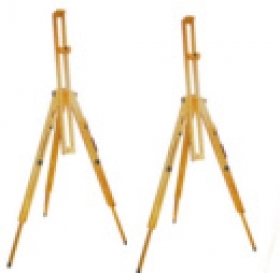 • Conda A13102 : Tripod field easel. Seasoned wood with straps and brass fittings. Suitable for unframed canvas or light-weight frames. Please contact Jacksons Head Office on (08) 6241 6400 for more information. 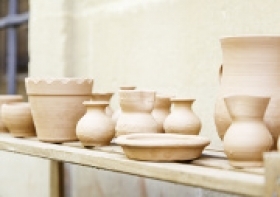 You can have your ceramic work fired at our head office at: 21 Gibberd Road, Balcatta. Please contact us on (08) 6241 6400 for more information. • The Riso Screen system simplifies the silk-screening process. • This process is quick, fun and simple and used by both absolute beginners and professionals. • The Riso system uses a thermal process to instantly turn your black and white artwork into an instant silkscreen with your artwork on it! • This process has revolutionised the way we do silk-screens! • Bring in a USB with an attached PDF of your artwork to process with us. See PDF download for more information!